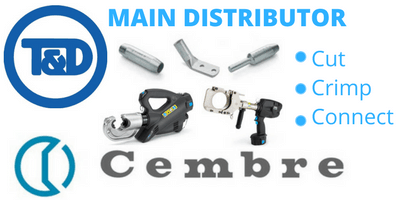 Cembre CAA cable lug connectors are manufactured from high quality aluminium. 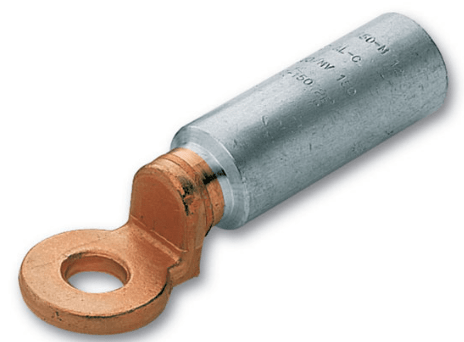 The lug barrel of Cembre CAA connectors is friction welded to the palm therefore achieving the best possible transition between the copper palm of the cable lug and aluminium barrel – single hole cable lugs are used to terminate and connect LV-HV cables with stranded circular aluminium conductor (Class 2) onto copper busbar in switchgear, control panels and cable boxes. Aluminium cables with solid sectoral shaped conductor (Class 1) can be terminated by pre-rounding of the conductor before positioning over the cable prior to crimping using hydraulic and battery operated crimping tools. Oxidation within the cable lug is prevented by protecting the internal surface with a specific grease with a very high dropping point. The bi-metallic cable lugs connectors are suitable for connecting LV, MV and HV stranded aluminium conductor cables including 11kV-33kV medium voltage with conductor cross section areas 10sqmm-630sqmm. 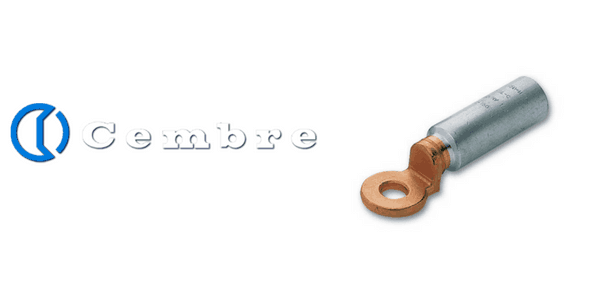 Used to terminate and crimp stranded aluminium cables with conductors according to BS EN 60228:2005. ➡ See also aluminium cable lugs and copper cable lugs for 11kV-33kV medium and high voltage cable connections and terminations. Indent the electrical connector in the sequence show below (FIG 2). Note, for a through splice connector indent the outer positions first, followed by the inner positions. 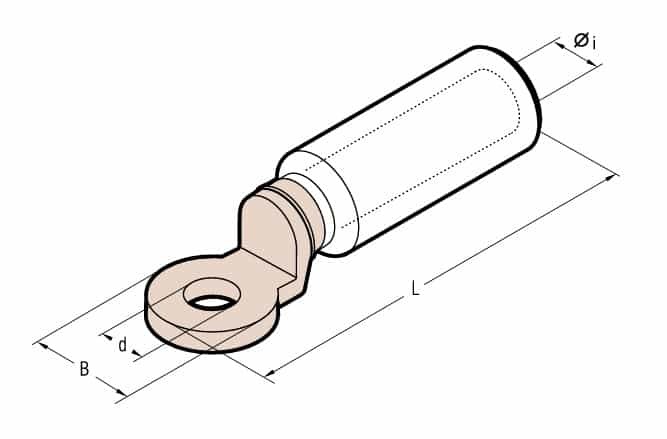 For a cable lug indent the position near the cable conductor first, followed by the position near the cable lug palm. Note: The sequence must be followed in order to obtain the correct conductor fill coefficient essential for producing a stable electrical connection to aluminium conductor on medium/high voltage cables.